Whats with all the extra bearings on the X? IF I'm looking at it right you have two rails and four sets of bearing blocks on one side of the machine. I'm assuming the same on the opposite side. This is not a good idea. 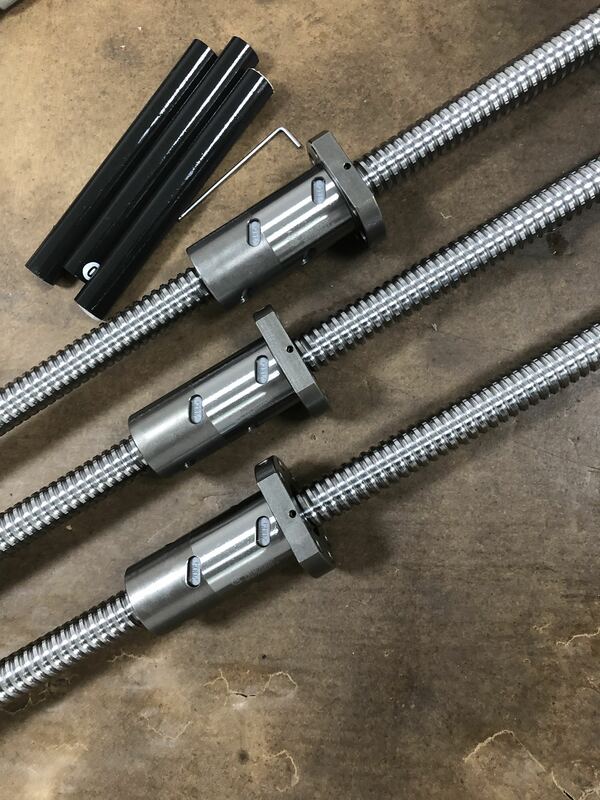 It is very difficult to get the linear rails in plane and adequately parallel with each other mounted directly to extrusions. If you don't think the rails or bearing blocks are suitable for the loads applied as a single rail you would be far better off addressing that either by larger blocks or up sizing both the bearing blocks and linear rails. 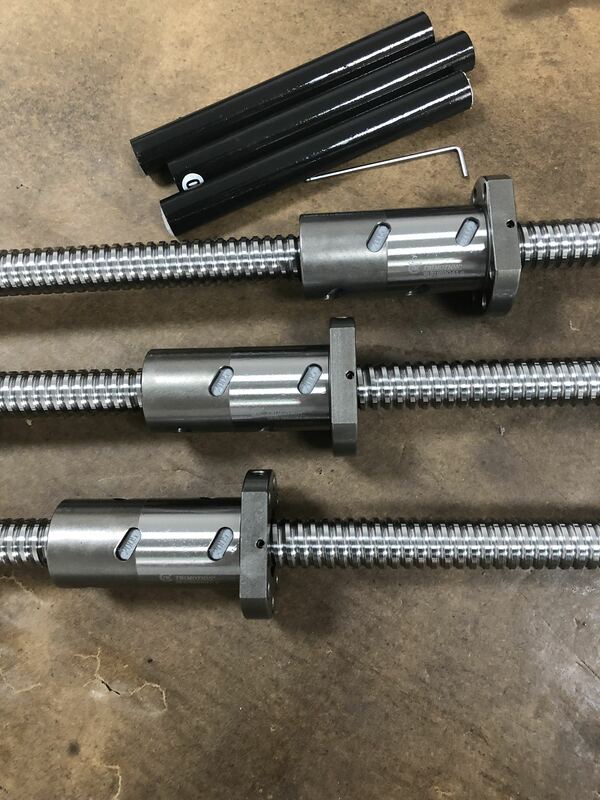 You can find threads on here where guys have tired to do so with much heartache, extrusions are simply not that precise to allow closely mounted rails like you have here. I'm not a big fan of the Y axis arrangement either as it simply wastes hieght in the Z. You will likely loose close to two inches in Z with the wrap around gantry (Y) saddle. I'm als not a big fan of added complexity that offers little in return. I like that latest design. Hope to see it running soon. 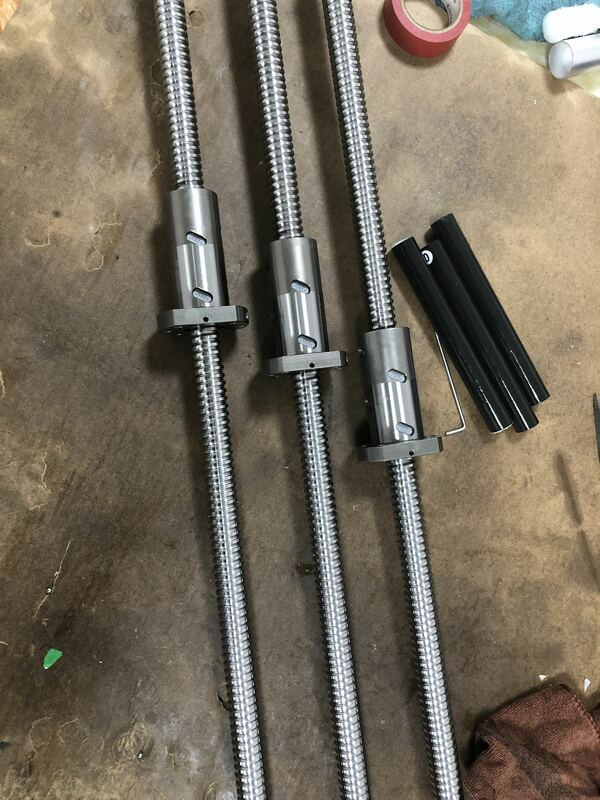 Do remember you need to keep in mind drag chains and other bolt on components. Often these are left as after thought and it often shows. some parts already arrive need to recheck everything first before cut all the plate,and checking alu extrusion, looks like they cut the size really perfect within 0.1mm. Hi Team - Why solve a perceived problem before its a problem? There's lots of routers built out of extrusions and they have no vibration issues so only solve problems that exist.